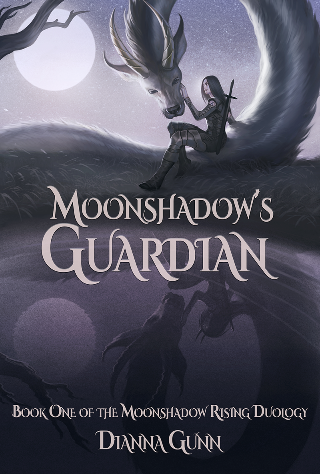 Moonshadow’s Guardian by Dianna Gunn Releases 11/17/18! Few things are as universally human as our fascination with our own deaths. Stories about the dead, and what happens to them when they leave this realm, have permeated every human culture. And although they haven’t always been called necromancers, there have always been tales of people who could communicate with the souls of the deceased. Many cultures even have festivals to celebrate the dead, like the Day of the Dead or early Halloween celebrations. In many of the most well-known tales, these necromancers are cruel, evil people who abuse the souls of the dead. People who raise undead armies or use secrets they learn from the dead to blackmail the living. Surely communicating with the dead is not inherently evil? These powers could be used to provide families with closure when a loved one dies suddenly, or if resurrection is possible to grant a second life to one dead too soon. As someone who lost my father to cancer at the tender age of twelve, I have obvious reasons to be drawn to this idea. I can’t begin to explain what it would mean to me to actually communicate with my dad, to show him the books I’ve finally put into the world and see his big smile, to hear him tell me how proud he is of me. So in Moonshadow’s Guardian, necromancy is a complex thing. It has potential to be evil, and indeed the greatest evil known to this kingdom is a necromantic curse. But necromancy also has the power to be used for good. Necromancy allows people to enjoy second chances at life, to communicate with their loved ones, and to gain closure. In some instances, it’s even used as part of murder investigations. There may be no clear answers on the ethics of necromancy in Moonshadow, but one thing is for certain: they have the same fascination with death known throughout human cultures right here on Earth. Pre-order your copy on Amazon and Kobo now! Your copy will magically appear on November 17th. Dianna L. Gunn is a freelance writer by day and a fantasy author by night. She knew she wanted to be a writer since she was eight years old. 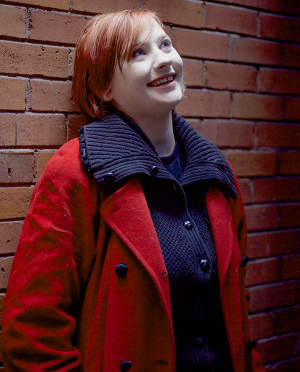 Dianna wrote her first novel for Nanowrimo at eleven years old. As an adult, Dianna quickly discovered writing books is not an easy way to make a living. So she decided to broaden her horizons, seeking another career that still allowed her to work with words. I love showing you exciting new books to add to your TBR and I love it when you do the same! Is this book on your TBR? I’ve just bought it 😀 Dianna knows how to make a good story! It’s on my TBR as well! Who can resist a story with a dragon?